While Robinson Cano and Edwin Diaz (siiiiigh) are about to get dealt to the Mets, there’s a Dodger rumor that won’t seem to die down. The Dodgers, apparently, are really interested in Cleveland starting pitcher Corey Kluber. It’s hard to blame them, as Kluber is one of the best starting pitchers in baseball. In an era in which starting pitchers don’t throw as many innings as they used to, Kluber has logged 200 or more innings in five consecutive seasons. That has its pluses and minuses, which we’ll get to shortly. The rumor, as it stands right now, is a bit of a head-scratcher. Yasiel Puig seems to be the centerpiece being mentioned from the Dodgers’ end. The same Yasiel Puig who, three summers ago was placed on waivers and two summers ago was optioned to Triple-A. A strong 2017 and 2018, plus strong postseason performances, have raised his standing across the league. Trying to make sense of this Puig/Kluber stuff. I understand why Cleveland would want Puig — need OF, he’s young and good. But he has just one year of team control and is slated to make $11.3M via arbitration. You’d think CLE would want someone cheaper if they’re trading Kluber. Also, I don’t want to see Yasiel Puig play for any other team. But if he does, playing under Terry Francona would be the best-case scenario, and the Dodgers would be getting a bonafide frontline starter. Jason Kipnis is also there, but he’s a shell of his former self and is much, much better at second base than the outfield. Alex did a good job looking at potential targets in an article the day before Thanksgiving, and touched on the Cleveland outfield situation in a little more depth. Editor’s Note: Martin was given a clean bill of health on Nov. 20. So yeah, their interest in Puig makes sense. But for Kluber? That’s where I get tripped up. 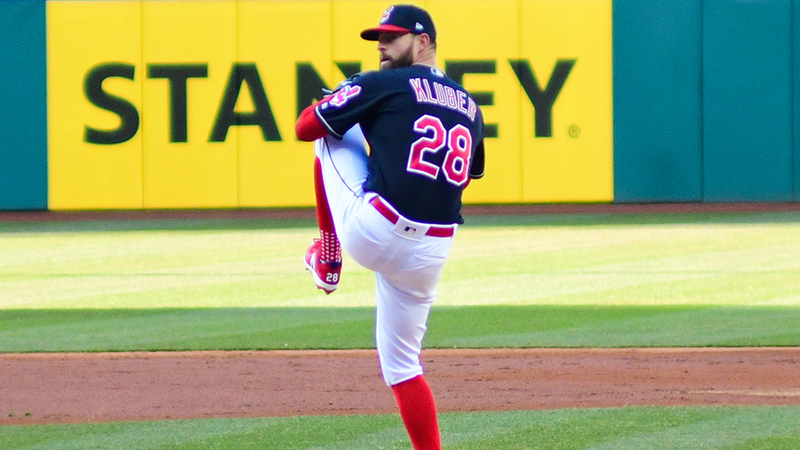 Despite going into his age-33 season, Kluber still has plenty of trade value. He’s signed through the 2019 season with two very affordable options for 2020 and 2021. In effect, he’s signed for three more seasons at $38.5 million. Only $15 million of it is guaranteed, but the most attractive thing for the Dodgers (and I hate that this still might be a thing) is the fact his luxury/competitive balance tax number through this season is just $7.7 million. That’s a downright steal. That number will increase if/when his options are exercised. Huh? Alvarez isn’t terribly surprising, but Wood? I’m reasonably sure he’ll be moved this offseason, but I really can’t see it happening in this deal. He’s projected to make $9 million in his last year of arbitration, so that would mean Cleveland is taking on $20 million in Puig and Wood for this season while giving up the rest of Kluber’s guaranteed $15 million? That doesn’t make sense. Maybe this isn’t meant to be the offer, but it is written a bit weirdly. For argument’s sake, let’s just say Puig and Alvarez are involved. Surely there would need to be another significant player heading to Cleveland. They still want to compete and play in the game’s weakest division, so another trip to the postseason is likely to happen. They aren’t rebuilding, so they probably won’t want a prospect who’s a couple years away and I really can’t see them taking Wood. What about Ross Stripling? Would make sense. If the Dodgers land Kluber, he’s in the rotation along with Clayton Kershaw, Walker Buehler and Hyun-Jin Ryu. That doesn’t even take into account Rich Hill, Kenta Maeda or Julio Urias. While Stripling performed well in the bullpen when asked, his desire is to return to the starting rotation — where he was an All-Star in 2018. He’d be the kind of piece Cleveland would like in return. He’s not arbitration-eligible until next winter, so he’s locked up for four more years. It’d be tough to lose him, but it makes a potential deal a lot more realistic (to me, at least). Still, I can’t think Cleveland would be missing a chance to add one more outfielder. Oh well. As for Kluber himself, the dude is a stud. He has been at least a 5-win pitcher in five consecutive seasons, and twice he has been a 7-win pitcher. That’s elite territory. Since 2014, he has been the most valuable pitcher in baseball. Yes, even more valuable than Kershaw (in, admittedly, almost 200 more innings pitched). He owns a 2.85 ERA, 2.84 FIP and the 4th-best K-BB% in the game (23.3 percent) behind Chris Sale, Kershaw and Max Scherzer. In case you were still wondering how good this guy has been. Even with a slight “decline” in 2018, he still posted a 2.89 ERA, 3.12 FIP and a 22.3 K-BB%. What’s becoming more apparent, though, is that his ridiculous 2017 season (2.25 ERA, 2.50 FIP, 29.5 K-BB%, 35.6 O-Swing%, 15.6 SwStr%) was his peak. So 2018 seems less like age starting to catch up to him and more like a return to his normal great self after an otherworldly 2017. Kluber doesn’t do it with elite velocity. His fastball averaged 92.54 MPH last season, while his sinker was 92.6, which he throws almost four times as much as his 4-seamer. He also throws his 89 MPH cutter almost 30 percent of the time and has a mid-80s slider that he throws more than 20 percent of the time. He’s mainly a 3-pitch pitcher, but all three of those pitchers are well above-average. The best thing about Kluber is the fact he doesn’t walk hitters. He has a career 5.6 percent walk rate and is coming off his best season in 2018 (4 BB%). He also does something the Dodgers covet — he minimizes hard contact. He had an average exit velocity against last season of 87.3 MPH, just a tenth of a point better than Wood. Kluber is also a mid-40 percent ground ball guy and does a relatively good job of keeping the ball in the ballpark (1.05 HR/9 last season, 0.88 HR/9 for his career). The Dodgers would be taking a bit of a gamble on Kluber. The financial commitment isn’t prohibitive, but they would be acquiring a guy who is at the end of an incredible (and arbitrary) 5-year run and will be hoping he can be that guy for his age 33-35 seasons. They’re not averse to having older starting pitchers. They traded for Hill in his age-36 season. They signed Brandon McCarthy to a 4-year deal (his age 31-34 seasons). They signed 32-year-old Scott Kazmir to a 3-year deal. Only one of them have worked out well, but obviously Kluber is in a different class. The reported interest in Puig is still puzzling to me (as opposed to Pederson or Verdugo and others), but if that’s who Cleveland wants, so be it. If this rumor really has legs, there’s a non-zero chance it gets done before today’s 5 p.m. tender deadline. The Dodgers have 10 remaining arbitration-eligible players on whom they must decide today. One of them is Puig. There’s no rule a deal has to be done today, but it wouldn’t be the most surprising thing to see. 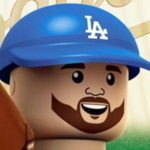 If they trade Puig, they better sign Harper. Previous Should the Dodgers be in on Sonny Gray?